The No Headache™ visor from As We Change features a patented design that eliminates the headache causing pressure of a traditional sun visor while holding snugly. Nylon-covered with non-slip neoprene stems. USA. 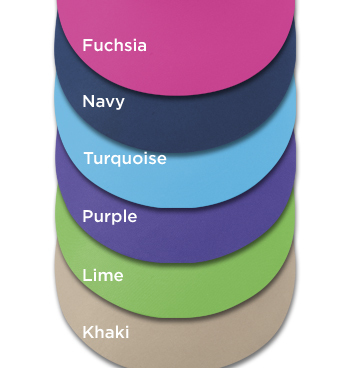 Navy, Khaki, Purple, Turquoise, White, Royal, Black, Red, Denim, Flag. One size. The no headache visor is the only visor I wear. I have tried other products and ended up with a headache each time. The price was right and there are several colors and styles to choose from. Very please. No pressure points to pull on. True! No headache and flattering! Fits with any hair style. Love the colors! It not only keeps the sun off your face, it keeps your hair back and away from your face, so the air can get to a larger surface area--and you don't get sweaty bsngs. great for the beach,reading,and keeping the hair out of the eyes. I wore my visor all day and did not have a headache. I would recommend it. Your head will thank you! Ultimate comfort while protecting your face from harmful sun damage. I finally found a visor that really works with no headache. I wear my visor for golfing and out on long walks. They're are very comfortable and stylish. I would recommend these highly! The bill was way too small. I returned these but as of yet I have not received credit for the return. Please check on this. 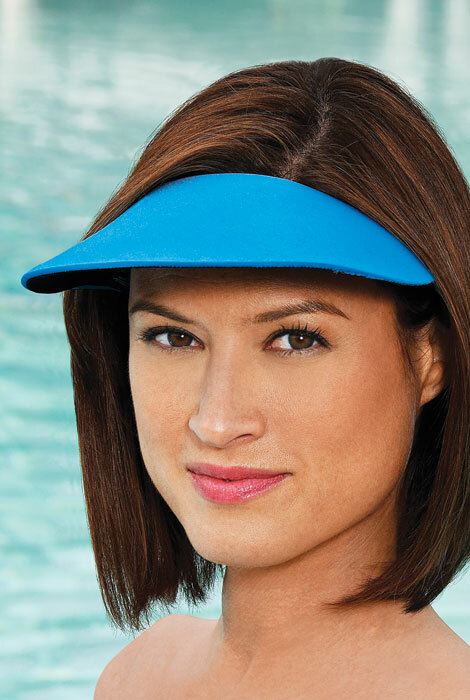 I recently wore one of these visors on vacation in the Bahamas; it was very comfortable,I normally do get a headache from headbands,etc, but did not get any headaches with this visor. I will say though, there is a stain on the rim of the visor from sunblock and/or perspiration where the fabric was in contact with my skin and I have not been able to get it out. It is not noticable when the visor is on,but still I wish I could wash that out! I did try soaking it and rubbing it gently with detergent - no luck! I purchased two visors, one was too small and gave me a large headache , and the other was a bit too large and sits on my sunglasses. Because this hat does not have a flat wall that edges up against the head, it feels like it cuts into your forehead and it sags over the face during any milld activity as it only has a thin edge that grabs onto your head. Not stable at all for any activity besides sitting still in one spot! Check out was unnecessarily a hassle. I am hoping I will have no headache wearing this. I have others in different colors and love it! Local store's do not carry this type of visor. I use them in the garden and for relaxing on my deck in the late afternoon. I have some and love them. I love visors but they always give me a headache. I m going to try these and see if they truly will not give me a headache. Hoping to find a visor that does not give me a headache. I have always purchased the no headache visors. I needed two new ones for an upcoming trip. This is the first time I shopped on this site and was impressed. 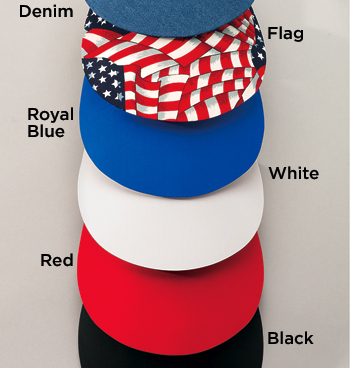 I love these type of visors for summer. Great price! I already own two of these. I have Meniere's disease and have to block out ceiling fans and flickering overhead lights. These have been a lifesaver for me. It truly is headache free. Stays in place, and easily washable. I love it! love these visors... no headache is correct! because of "no head ache" feature. I like these types of visors as regular hats are too hot. Have not tried these before but I'm all for visors that don't give me a headache. We'll see. I love these visors. Have worn them now for a few years. Intrigued by the promise of 'no headache'. Use visors often to keep my hair out of my face. This is my second order for this visor. I wanted a different color for summer. I love it. It's the most comfortable visor I have ever owned. I have a feeling I'll be back for more. Had them before.... love them.... they really are none headache for me! I am replacing this visor. These visors work for me the best! No hat head & good eye shade! I bought the navy and black visor two years ago. They are still going strong but a little faded so I decided to get new ones. I absolutely love these visors because they are so comfortable to wear. I have one already and like it so much I ordered another. 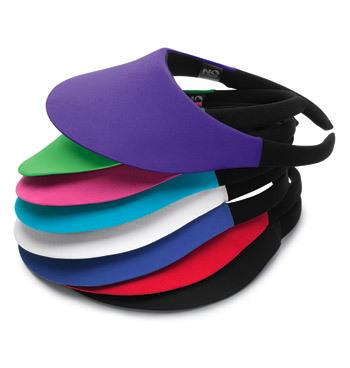 I love visors for summer and I lost mine- great price too! Headaches have been a problem for me with visors, so I am trying this one. So, I won't get pressure on sides of my head!! I have bought these visors in the past and they are so much more comfortable than other visors. I would recommend them to anyone! I cannot see the back of this visor. Does it wrap all the way around the head? I am looking for a style that doesn't. BEST ANSWER: It does not wrap around- stops past the ear...I've been very happy with mine- very comfortable and I've had mine (I bought two) for a number of years now and they still look great! No it does not wrap all the way around and it really does work. .no headache! Not too tight but stays in place. No it does not. It is very comfortable. I live in the South and wear mine a lot. no, just partially . Very comfortable and doesn't leave a mark in your hair. No. It doesn't. And it's really comfortable! I see the different colors of visors, are there different styles as well? BEST ANSWER: Thank you for your question. Unfortunately this is the only style available. We hope this information will be of help to you. BEST ANSWER: Thank you for your question. There is shipping on all orders unless you have a special offer code for it form a catalog or email you receive. We hope this information will be of help to you. How long is the bill of the visor? BEST ANSWER: Thank you for your question. The visor extends 4 inches from the forehead. We hope this information will be of help to you.